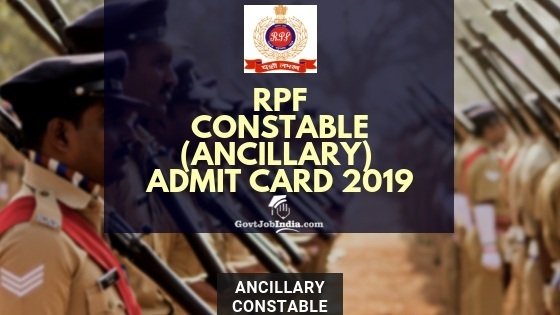 RPF Constable Ancillary Admit Card 2019: Candidates who are appearing for the RPF Ancillary Constable CBT Exam can download their RPF Ancillary Constable Admit Card 2019 Online at the official website of the RPF @ indianrailways.gov.in. You can download your Admit Card from the link we have provided below. The RPF Exam is set to be conducted across various across the country with centers available in every state. 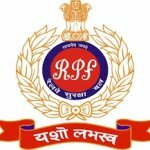 The RPF will conduct the Constable Ancillary CBT in the month of February – March 2019. The Admit Card is most likely to be released 201 days prior to the exam. Keep an eye on our page in order to get the latest news and updates regarding the RPF Constable Ancillary Admit card 2019. We constantly update this page to make sure that you get the latest and most relevant news regarding the RPF Ancillary Constable CBT Exam and Hall Ticket. The RPF Constable Ancillary Exam Call Letter has been released! You can download the RPF Constable Ancillary Hall Ticket 2019 from the “How to Download” section below. How to download RPF Constable Ancillary CBT Admit card 2019? Candidates must first visit the official website of the RPF. On the website, candidates must visit the Admit Card section. In this section, click on the link for the RPF Constable Ancillary Hall Ticket Download Link for the Computer Based test or the CBT. Candidates can download their official Exam Hall ticket by clicking on this link and entering in their official registration id and password. This will open a new page wherein your admit card will be ready for download. The RPF Constable Ancillary CBT will be conducted in Feb-March 2019. The Exam will be an MCQ type paper which will test the candidates’ knowledge of General Awareness, Maths and Reasoning. The Exam will be conducted across the country in select exam centers. The details of these centres will be released soon by the RPF. Candidates can only proceed to the next stage of selection if they clear the CBT Exam. The Paper Pattern for the constable CBT Exam is given below. The RPF Ancillary Constable Admit Card will be released 10 days prior to the Ancillary Constable CBT. RPF has not yet declared the official AdmitCard release date. You can keep an eye n our page to get the latest news and updates regarding the Admit Card on this page. All candidates have to go through a rigorous selection process in order to get selected for the RPF Ancillary Constable Recruitment 2019. The candidates who pass the CBT will next have to appear for the PMT/PET examination. Further updates regarding the PMT/PET Examination will be officially disclosed by the RPF as soon as the Ancillary Constable CBT Exam result is out.